Local distributor of Dietz and Watson, Inc. Your preferred source of premium gluten-free ingredients! Albuquerque's provider of the finest cuts of meats! Specialty sausages, wholesale beef, chicken, & pork! 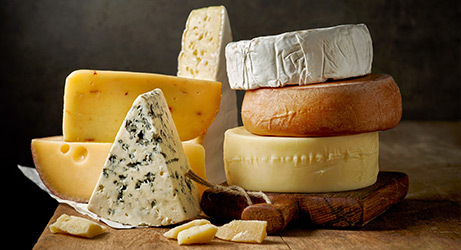 Artisanal, domestic, and imported cheeses! Our wholesale is brought to you by Dietz & Watson. Since 2011, High Desert Provisions LLC has partnered with businesses throughout Albuquerque, NM, offering top-grade wholesale meats, cheeses and condiments. We proudly supply restaurants, delis, hotels, casinos and other businesses with pork, beef, chicken, sausage and various cheese varieties, so they can offer their customers only the best in delicious products! 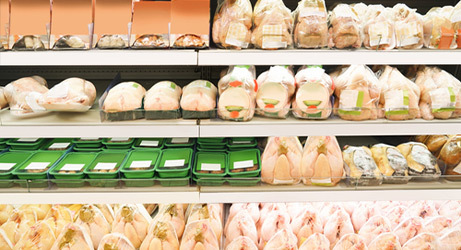 Restaurants, delicatessens, hotels and numerous other businesses rely on wholesale meat suppliers in Albuquerque, NM to provide them with fresh, delicious products to satisfy the needs of their customers. At High Desert Provisions LLC, we answer the call for these products by providing only the best from Dietz & Watson. This means choice meats and a huge selection of cheeses, freshly packaged and ready to be served to your customers with complete confidence. From pork, beef and chicken, to gourmet sausages and artisan cheeses, you can count on us to supply you with anything you need to operate your customer-facing eatery. As meat wholesalers in Albuquerque, NM, we’ve become attuned to the needs of a wide range of businesses. We can help your deli stock up on great meats and cheeses to increase your selection, as well as assist your restaurant in getting the meats necessary to keep your menu popular among guests. Plus, we deliver everything you order in a timely manner, to avoid setbacks in your business. Need something in particular? We can definitely help you procure it! Our selection runs deep and we’re always willing to go the extra mile for our customers. Let us show you why we’re among the most trusted whole meat distributors in Albuquerque, NM! We wholesale Dietz & Watson meats, cheeses, sausages and condiments, bringing our customers delicious products that have led the industry since 1939. All meats and cheeses are free of artificial colors, flavors, fillers, extenders or MSG, and exceed USDA, FDA and health organization standards for healthy eating. We take pride in getting to know our customers, ensuring we understand your needs thoroughly. We’re also here whenever you pick up the phone! We’re happy to offer direct delivery of all products to customers throughout Albuquerque, NM and the surrounding 50-mile area cities and towns. Our clientele includes restaurants, delis, hotels, casinos and chain eateries. 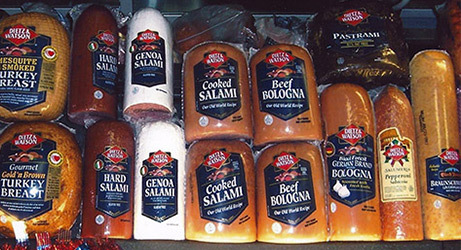 We partner with any business that has wholesale meat and cheese needs. If you’re ready to order meats and cheeses for your business, direct from a trusted supplier, contact High Desert Provisions LLC today. We’ll be happy to help you place an order!